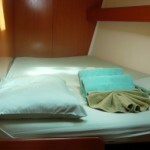 $4,500 per week Off Season: 10th July - 5th November. 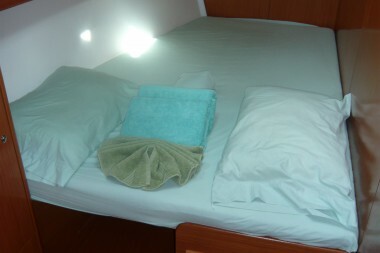 $5,200 per week Low Season: 1st May-9th July and 6th Nov - 15th Dec.
$5,850 per week Mid Season: 2nd Jan - 31st Jan and 1st April - 30th April. 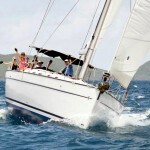 $6,950 per week High Season: 16th Dec - 1st Jan and 1st Feb - 31st March. 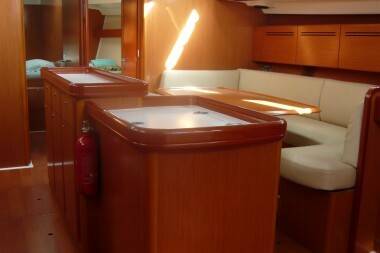 The Beneteau 50.4 is the latest addition to the successful Cyclades range. 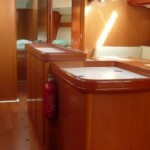 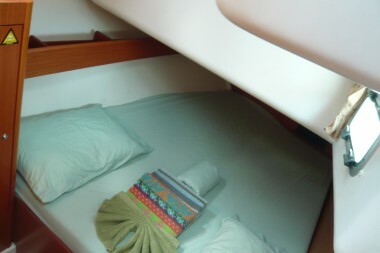 She offers great sailing performance and comfortable living accommodations. 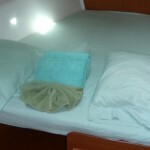 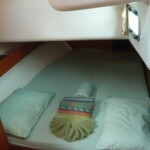 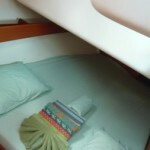 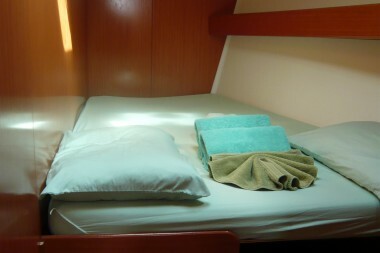 With 4 double cabins and ensuite heads/showers, together with a single crew bunk in the bow (with head and shower). 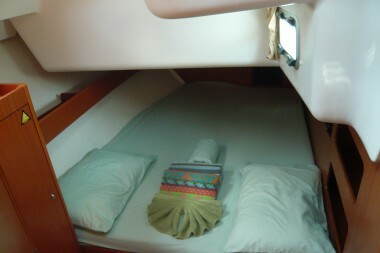 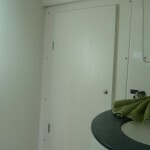 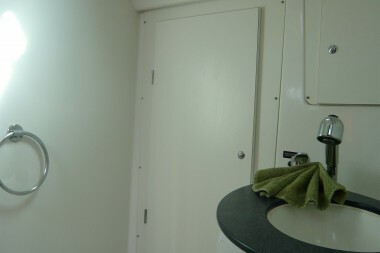 The cabins are fitted with a fan, reading lights, plenty of storage space and an opening hatch. 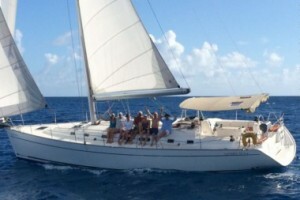 ISLE DANCE II is ideal for family and friends. 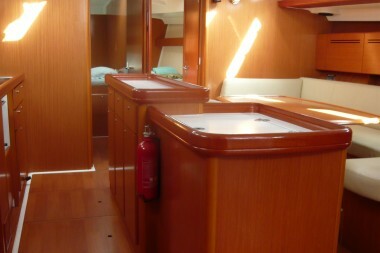 She is extremely spacious throughout, especially in the cabins. 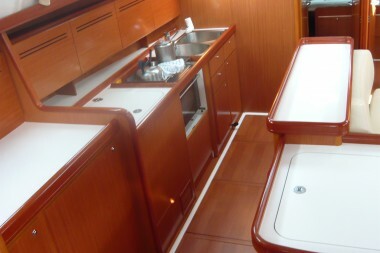 The roomy galley area makes cooking while on the water a cool, comfortable experience. 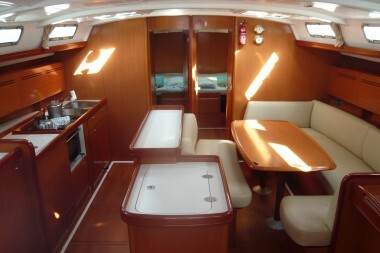 ISLE DANCE II is fully equipped with bow thrusters and an easily retractable dodger. 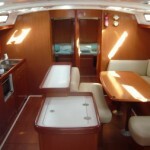 She has an extra large bimini with rear sun flap and zippered sun-screen top panels. 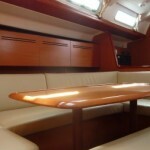 There is plenty of space on the foredeck to enjoy the sun. 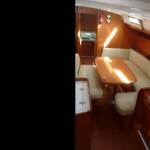 There is a full Raymarine electronics package, including an 8″ chart plotter, autopilot, wind and tridata modules and an electric anchor windlass. 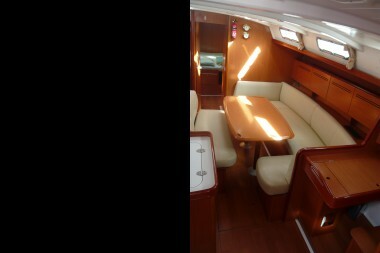 This Beneteau 50.4 has a furling mainsail and sails can be effortlessly controlled from the cockpit. 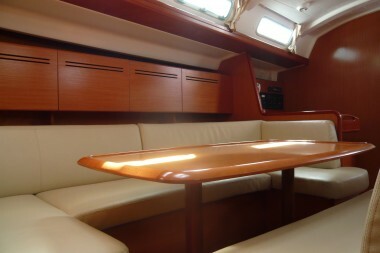 This Cyclades 50.4 is equipped with a quiet generator and central air conditioning to every cabin – perfect for those hot Caribbean nights. 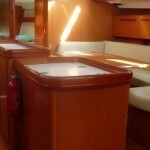 With 2 electric fridges and a large chest freezer, you can store and freeze drinks and supplies for the whole trip. 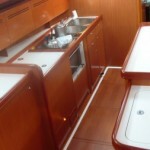 ISLE DANCE II has a 12 ft hard-bottom zodiac with a 18hp engine.